My book about fear of driving has been out for about six months now, and the really great thing is that I’m starting to hear from people who are using it to help them get out on the road again. I’ve had lovely emails from people all over the world and was particularly moved by this post from Maria at Fiesty Tapas – a success story when it comes to beating driving phobia. 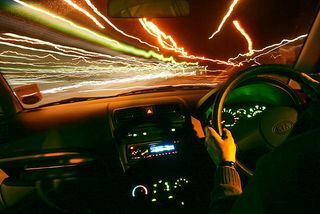 So based on their feedback, here are some tips from How to Overcome Fear of Driving which readers say they’ve found particularly helpful. Every single time I mention fear of driving on social media, somebody will raise a virtual hand and say That’s me. Every single time I’m in a group of 3 or more people and mention the book at least one person will have experienced driving phobia or know someone who has. This is no freaky fear held by you and you alone – it’s an international epidemic. Take comfort in the fact that you are by no means the only person who doesn’t like to drive. There’s a ton of help around for this phobia – from therapists to specialist driving instructors. You don’t have to do it by yourself. There’s a list of experts and other resources in the back of my book. Never let more than a week go by without driving, even if it’s just a tiny drive round the block. Once you’ve started, it’s important to keep the momentum going. Don’t attempt to drive with anyone who raises your stress levels (this may include your partner, children or particularly annoying friend). As your driving confidence increases you will be able to cope with people like this, but for now don’t push it. A phobia often grows when you’re already highly stressed. So sometimes you can help your driving by looking at what else is going on in your life that might be affecting it. What is causing you stress right now and what are you going to do about it? Low blood sugar or increased anxiety levels due to excess caffeine can put you more at risk of having a panic attack whilst driving. When writing a self help book obviously you do a lot of research and talk to experts and find case studies to check that it’s on the right track. Authors want their book to make a genuine difference in people’s lives, otherwise why bother writing it in the first place? But you don’t really know if the book will do what you intended it to do until it’s out there and in the hands of readers. Some of the emails I’ve had have been quite sad, as people tell of the years and years of living with anxiety about driving which has ground down their whole life. It would be arrogant to assume that a book alone is going to cure everybody’s phobia overnight. But for some people it IS helping, that’s for sure. So if you have a fear of driving and are reading this and thinking that you’ll never overcome it, just consider this – other people are overcoming this fear. Therefore by definition it can be done. And if it can be done, then isn’t it therefore possible that it can be done by you?